The advent of online pharmacies has undoubtedly changed how many people get their medicines and promises to further improve how the health care industry operates. Just how popular are online pharmacies? More than 2 million people who reside in the U.K. buy drugs regularly from online pharmacies. As online pharmacies become more popular, some mischievous individuals have taken this as an opportunity to sell fake and counterfeit drugs. Not every pharmacy marketed online promising you jaw-dropping discounts is registered, and so buying from them is unsafe. What are the risks when you buy medicines from a fake online pharmacy? One of the reasons for the popularity of online pharmacies is the anonymity that comes along. Most men who cannot disclose certain things to a doctor, or buy medicines like Viagra over the counter or in a pharmacy will feel at ease shopping for them at an online pharmacy. While these are undoubtedly the benefits of shopping from an online pharmacy, buying from a fake online pharmacy can mean the opposite. Fraudulent online pharmacies are not bound by the regulations of registered online pharmacies, and as a result, they can sell private information of individuals who make use of their platforms. To avoid having the information you so dearly want to keep private sold without your knowledge, it is best that you buy your medicines from online pharmacies which have been registered and approved. While a registered online pharmacy will strive to keep your information private (they would do this in order to maintain their licensed status) a rogue online pharmacy will be happy to sell your private information for anyone with the money. This is another reason you should be careful where you shop online for medicines. Be cautious of online pharmacies (except registered) that promise incredible discounts on drugs. This is because expired drugs can be inexpensive. When drugs become outdated, they lose their effectiveness in the process. If you take a drug after its ‘best before’ date, you would be wasting your money and risking your health for no therapeutic benefit or for a dangerously low amount of benefit. Outdated medicines do not have very hazardous effects. Drugs from fake online pharmacies may have also been stored improperly. If drugs are not stored properly, they will lose their effectiveness or even become dangerous. For an unregistered online pharmacy, there is no telling how things are run where the drugs come from. You can order for a drug and get a mislabeled or the wrong drug. If they are managed by fraudulent individuals, what is in the bottle may not be what you actually ordered for. Fake online pharmacies also sell counterfeit drugs. Counterfeit products are a problem, and prescription medicines are among the most commonly counterfeited products. In 2010 more than $75 billion of counterfeit prescription medicines were sold worldwide; that is some scary figure. Taking counterfeit drugs can lead to poisoning. This can worsen your condition, or even start a new problem. For individuals taking heart medications or treating a severe allergy, a counterfeit drug can lead to a life-threatening situation. Any type of medicine can come from a fake online pharmacy including a watered down liquid drug. Fraudsters who run these fake online pharmacies can dilute these medicine to increase the quantity they have to sell. More drugs to sell means more money for them; both at the detriment of the patient. For tablets and capsules, you might order a larger dose and receive a smaller one. A watered down drug or one with a lower dose would not work as it ought to. They would not give you the expected result because it is only a portion of the dosage you should be taking. This can slow down the pace of your recovery. There are chances that an unregistered pharmacy also runs illegal operations that you are not aware of. Shopping at such pharmacies exposes you to the risk of sharing your credit card details and other personal information and codes with someone who will hijack them for something else. If your private information gets stolen, it can be used for identity theft. Your identity can be used for nefarious acts which can implicate you. There is a possibility of having your bank account hacked if your credit card details fall into the wrong hands. How Do You Spot a Rogue Pharmacy? The risks of buying medicines from a fake online pharmacy are enough to discourage half the population from buying drugs online. Although the risks can be dire, it is quite easy to spot a rogue pharmacy. The following tips will help you in deterring a rogue pharmacy. Allow you to buy medicines without registration, a prescription from your doctor, or an online checkup by a telemedicine doctor. No form of licensing seal or certification present on their website. Offer no form of communication with a doctor or pharmacist. Promise discounts on drugs that are too good to be true; while online pharmacies are typically cheaper than physical pharmacies, some drop in prices should act as a red flag. After registering, begins sending spam or unsolicited email offering cheap drugs. No physical address where you can visit or contact. Where Can You Get Original Drugs? It may seem that getting original drugs from online can be difficult. It is not so if you visit a legal online pharmacy. P.S Our list is limited to specific regions. If you want to get a more detailed list of the online pharmacies in your region, you can visit the website of the regulatory body. Pharmica: By all means shop at https://www.pharmica.co.uk/ if you reside in the United Kingdom. This online pharmacy store along with its pharmacies are registered with the General Pharmaceutical Council. It also offers extra services and articles to help patients. Pharmacy2U: This is the first and one of the biggest internet pharmacies operating in the United Kingdom. Pharmacy2U began its operations in operating in 1999 and has acted within the law ever since. Visit Pharmacy2U to learn more about their services. Maple Leaf Meds: This is one great online pharmacy that sells drugs only to residents of the United States and Canada. It is fully regulated by the appropriate agencies. Medplusmart: This is one of the biggest online pharmacies available for people who reside in India and its neighboring countries. It is one reputable pharmacy you can trust. You can also buy other products, including cosmetics from this pharmacy. In conclusion, you can avoid the horrors of shopping from a rogue pharmacy if you get your studies right. 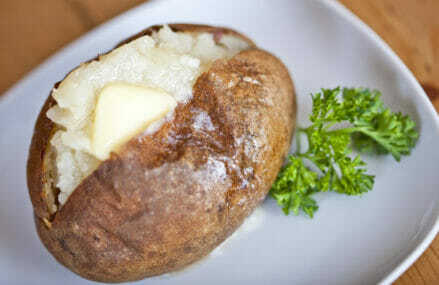 Did You Know Baked Potatoes Did This?